Breakfast is the most important meal of the day and here are eight options that you can use. After a rest of more than 8 hours your body wakes up and gets ready for a new day. All the work that you need to do needs energy. You provide your body with energy by giving it the right food in the morning at breakfast time. Many people feel that they do not have the time for a full fledged breakfast in the morning, but it is important never to skip breakfast. Even if you are running late you must grab a fruit and a sandwich at least to keep your body going till lunch time. And those weight watchers who want to skip breakfast to skip on calories, a University of Connecticut study has shown that if you eat an egg for breakfast you are far less likely to overeat during the rest of the day. So may be you do have the time to squeeze in that scrambled egg?! 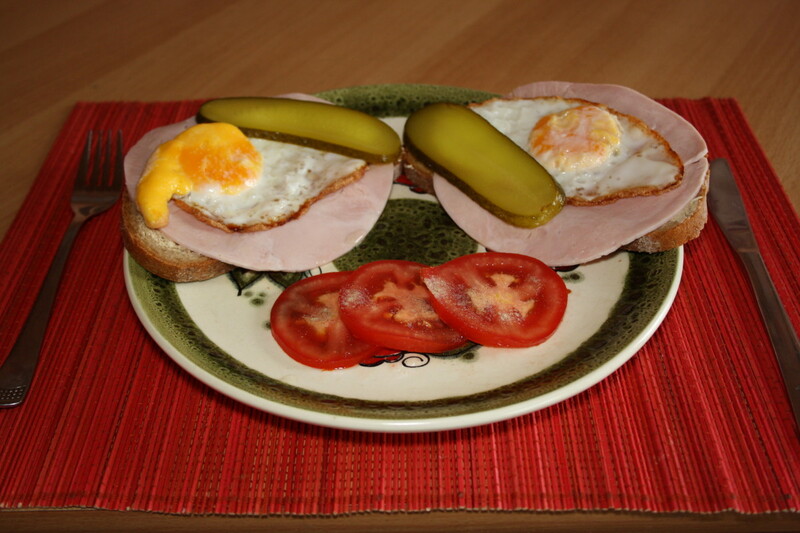 Do you understand the importance of breakfast as a meal and eat a healthy one every day? A number of these recipes taste good chilled and so you can make and keep them in the fridge the night before. That way you can cater for breakfast at night and you just need to take it out of the fridge and eat. 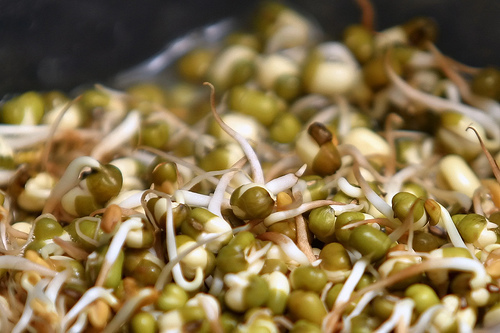 Sprouts are healthier than most foods as they are living foods rich in vitamins, minerals and fiber. Mixed sprouts make a great base for breakfast dishes. In a pan add the olive oil and heat slightly before adding the garlic. Let it change color lighly before adding the onion. Once the onion is translucent add the sprouts and the green chillies. Cook for a minute before adding the coriander and salt. 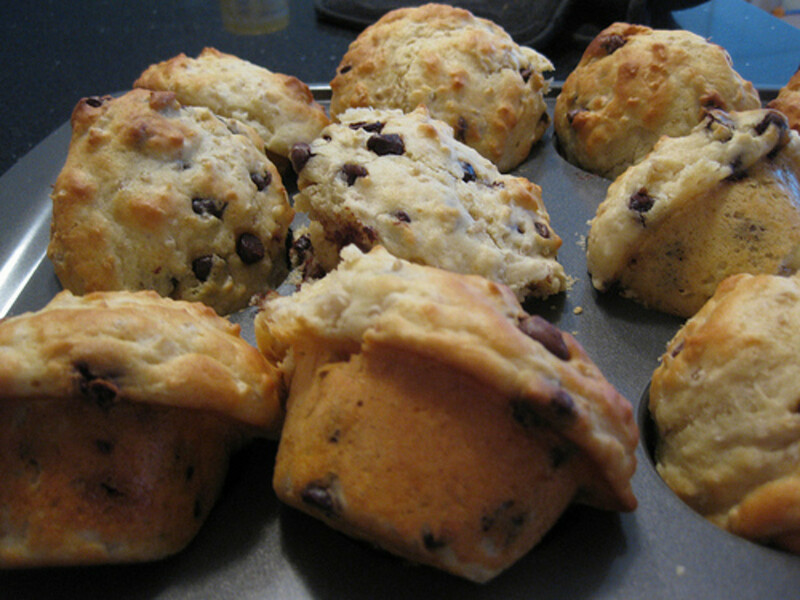 Serve with a bun or slice of bread. Just add all ingredients to a big bowl and mix well. Ready to eat. Good for summers as it can be stored in the fridge and eaten cold. Doctors, dietitians, weight loss experts, nutritionists! Everyone is a big fan of fruits. So it stands to reason that you should add them to your breakfast. Have all the fruit peeled and cubed. Then add to a bowl and add the dry fruits. Pour the honey and toss together. Chill in the fridge before you eat. To make it less "healthy" add a scoop of vanilla ice cream. Split the banana and place in the plate. Top it with the strawberry slices. Add well beaten yogurt on top and garnish with almond slivers. Add salt, pepper and grated cucumber to the hung curd. Mix well and use as a sandwich filling between two slices of whole wheat bread. Tastes best cold. Butter the slices of multi grain bread. Add the tomato slices and sprinkle the butter before closing the sandwich. Now grill for a minute till light brown. Serve hot. In a pan add the olive oil and add the garlic when it is warm. Add the onions and stir fry till they turn soft. Add the tomatoes and the green peas. Cook for a while. Now add the oats and mix well. Add the salt, pepper and a cup of water. Close the lid and let it cook on a low flame. When the water has almost dried up stir and take off heat. Serve warm. Add all ingredients to a pan and cook on low heat. When the oats have cooked and milk and dried up take off the flame. Serve with extra milk on the table. Do you include dry fruits such as Almonds, Walnuts or Cashew in your breakfast? Traditional Indian Breakfasts differ from region to region. The typical North Indian breakfast would consist of a spoon of butter on an Allu Paranta (Potato stuffed pancakes) with Dahi (Yogurt or Curd) and achar (Pickle). 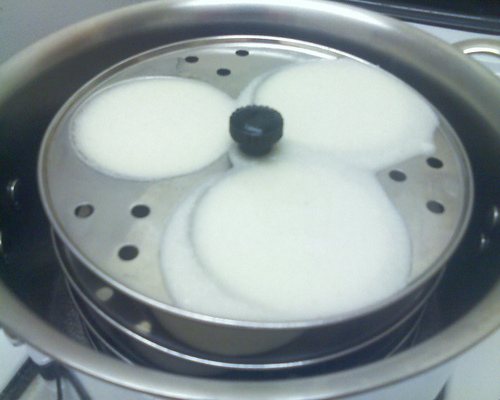 In South India it would be a bowl of coconut chutney served with steaming hot white idlis (steamed rice cakes). Or it would be a chilled bowl of curd rice with curry leaves and monkey nuts. 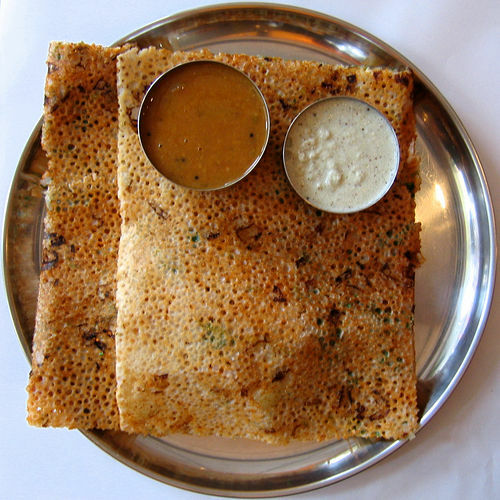 Not to forget a dosa or a uttapam. 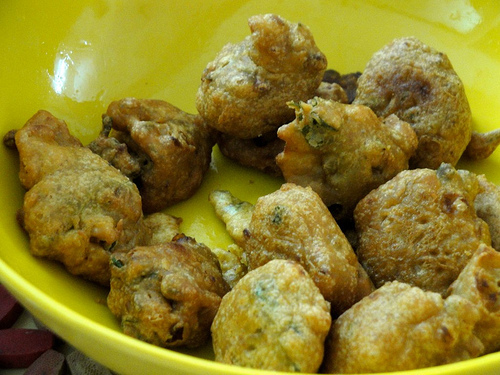 In the East the spicy Mirchi Pakodas (fried green chilli in batter) are a hot favorite. Of late the more conventional eggs and bread have caught up with the Indian populace. And the cheese sandwiches are also popular. 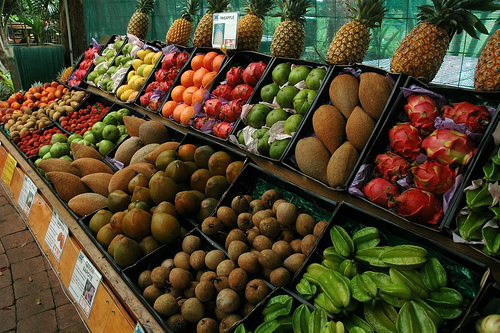 There may be many choices for breakfast but what makes for a truly healthy option? 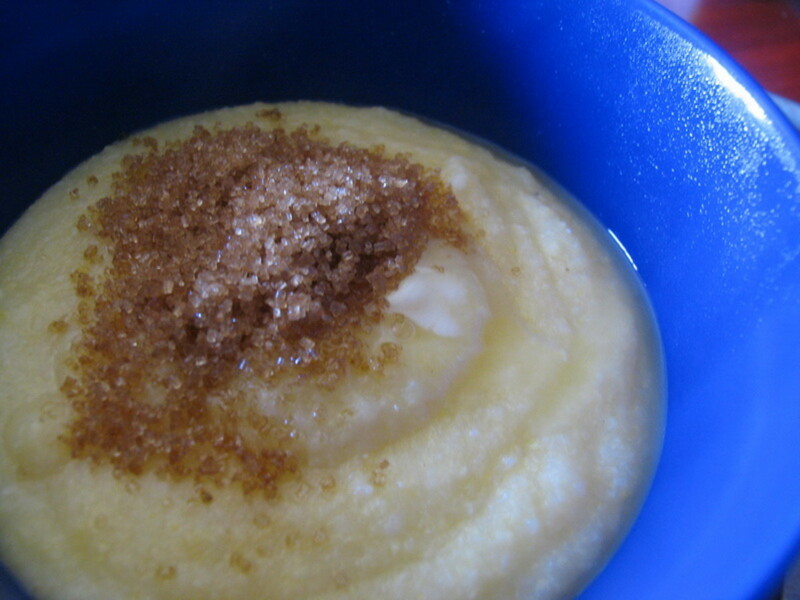 The traditional breakfasts are high on calories with many of them using deep frying as a cooking method. This kind of calorie rich food was needed in the past when the physical activity was considerable. It is not the kind of food that we as office goers need today. So what are the healthier breakfast options? To make the Allu Parantha you need to make dough out of one cup of flour with a teaspoon of oil and some water. You can add salt and seasoning to the dough, but since the stuffing will be spicy it doesn't matter if you leave the dough plain. Once you have kneaded the dough keep it aside for half an hour to ferment. For the stuffing you need to boil and mash two medium sized potatoes. Add salt to taste, 1/2 spoon red chilli powder, 1 spoon dhania or coriander powder, 1 spoon jeera or cumin powder and mix well into the potato mash. Taste and make up deficiencies. Now divide the dough into four equal parts. Roll each part into a ball. Use a rolling pin to level out the ball into a circle. This can take practice. Don't worry if you don't get it right the first time. Just bunch up the dough and make a ball again. Once you are happy with your circle add a spoonful of the stuffing in the center. Now fold the sides of the circle in top of the stuffing to make a square. Dip the packet in dry flour and roll out into a square parantha. 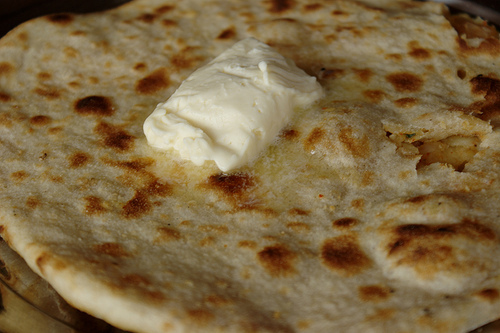 Fry the parantha using ghee or butter on both sides till it is cooked. 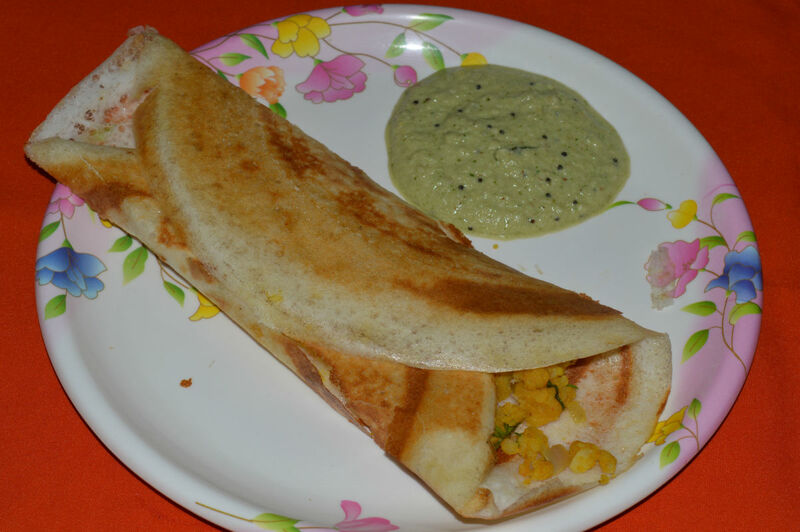 Serve with fresh well set curd and pickle. For the healthier alternative you can just roast the parantha on the girdle (tawa) without any butter. It will take longer to cook and will be drier and healthier. Word of warning, while Allu paranthas are a very filling breakfast, they may not be ideal for people on a diet trying to lose weight! It is wonderful to have you back in town doing what you love shnirag your awesome gourmet culinary skills! My lunch was fantastic today!!! A spinach salad which was the BEST I have ever had. It is so good to have you back. Not only was the food outstanding, you made me feel like a rock star visiting my table (on your knees ) to fill me in on your brief time away from Route 140. Welcome back, James and Coryn!! A Hidden Jewel is correct!!!! Cannot wait to see you soon!! 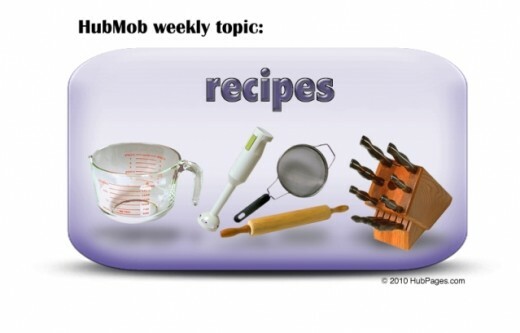 I hope you tried out some of the recipes. They do come out well. It makes so much sense cashmere - real food for breakfast - unlike the box of cereal we call breakfast food here in the US with no nutritional value. When I lived in S. Korea and throughout Africa, S. America, Asia, etc. the idea of giving their children garbage for breakfast was never an option. Thanks for all the suggestions and recipes. We are so unhealthy here in the US because of bad industrialized food - we need to make major changes - if not for ourselves then our children deserve better. Children would love a breakfast like this. You've covered it so well. Great hub. I'll bookmark. Rated up and more! Thank you! 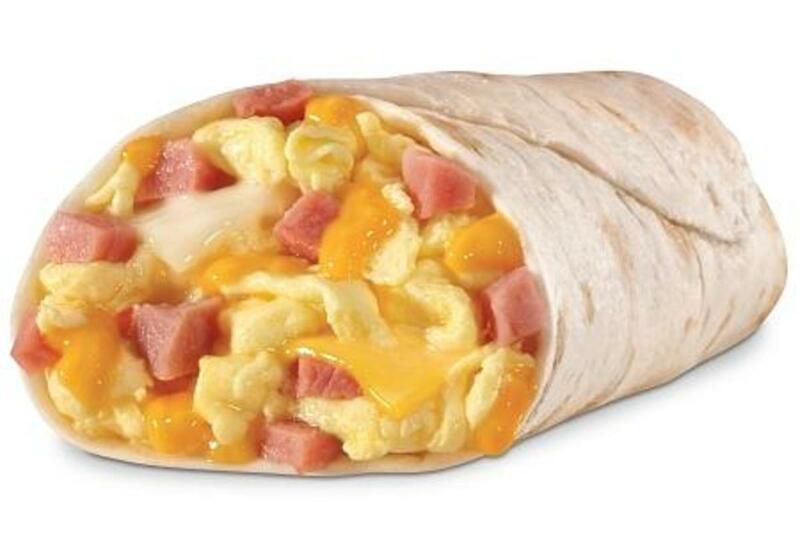 Great breakfast ideas for the family on the go! Another option (so we can all stay away from fast food) is healthy meal delivery services. All you have to do is choose your meals online, and they are delivered to your doorstep prepared and ready to cook! So am I billyaustindillion, So am I! Thank you for sharing - particularly the Indian breakfasts. I am a big believer that breakfast is the most important meal of the day. 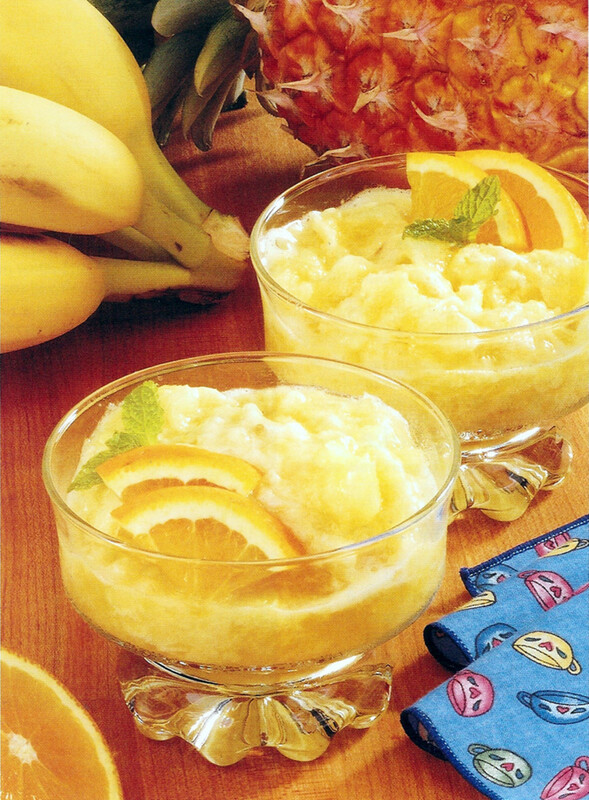 The fruit recipes look delicious as do the vegetable. Ihadn't thought of eating vegetables for breakfast. I'm not quite sure why. Great hub. Ah, my favourite meal. Thank you for this Hub Cashmere. It gives me more options. Have you tried any of the hybrids? Parathas and fried eggs preceded by plenty of fruit is my all-time favourites. We Indians are sure lucky to have this vast variety available virtually everywhere in the country. Which reminds me, its time I got down to breakfast. Breakfast is definitely the most important meal of the day! Thanks for sharing these great ideas. The one thing I will add is that I believe it is especially important to have protein and good carbs for not only breakfast but for every meal. Protein fills you up and keeps you satisfied until the next meal! Great breakfast ideas, especially the Indian ones. In my country for breakfast or dinner we also have sada roti with different curried vegetables such as baigan, alloo, pumpkin and salt fish and tomatoes etc. This is something new from me than the traditional american breakfasts. Unique and very tempting. The fruit dishes looked really easy and tempting. I must try them at some point.